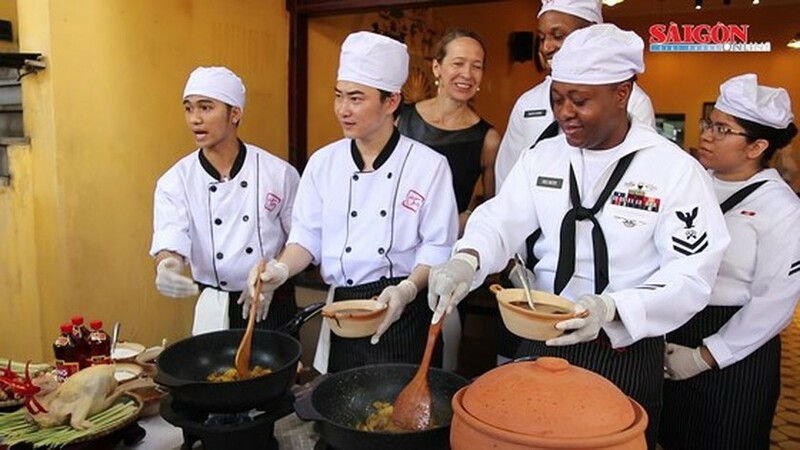 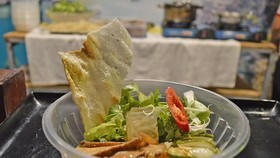 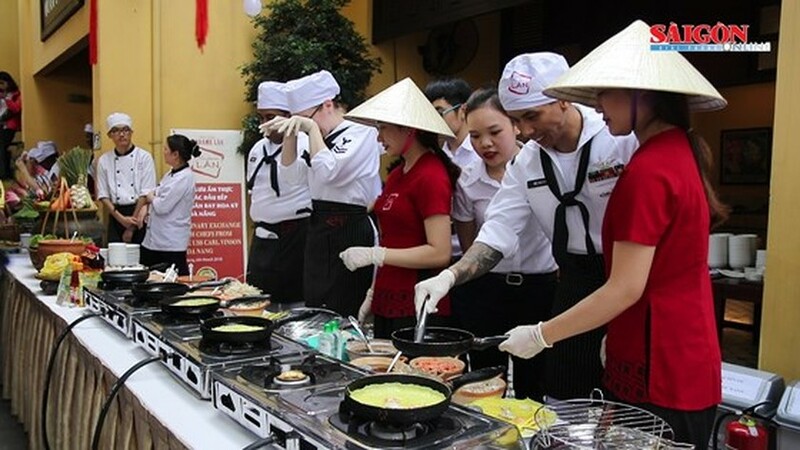 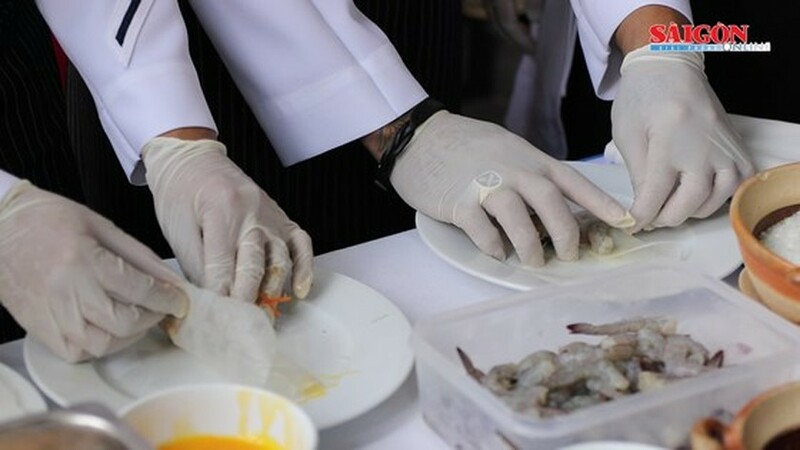 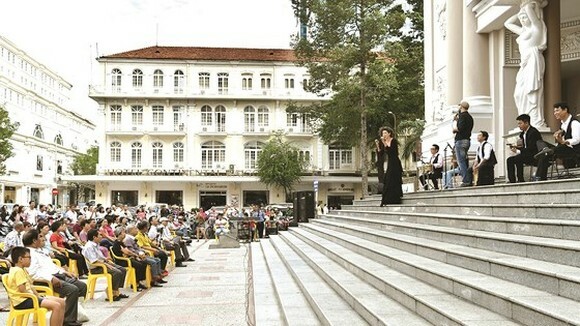 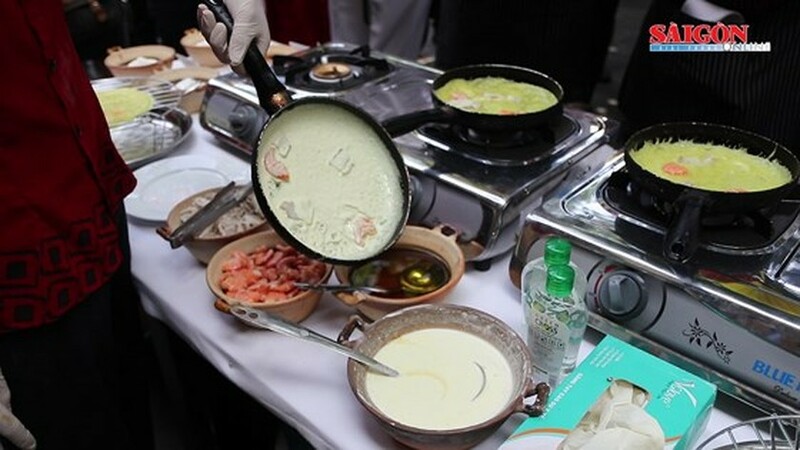 On afternoon March 6, Danang department of tourism and Danang City Tourism Association jointly organized culinary exchange program between Vietnamese chefs and chefs from the USS Carl Vinson, at Madamlan restaurant in Danang City. 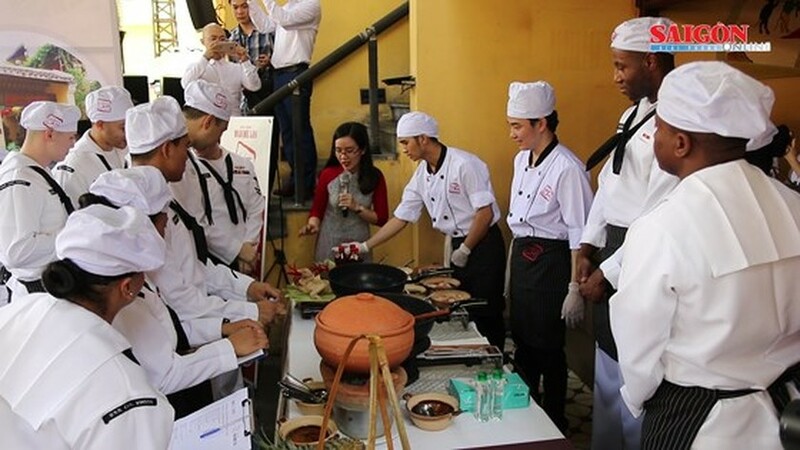 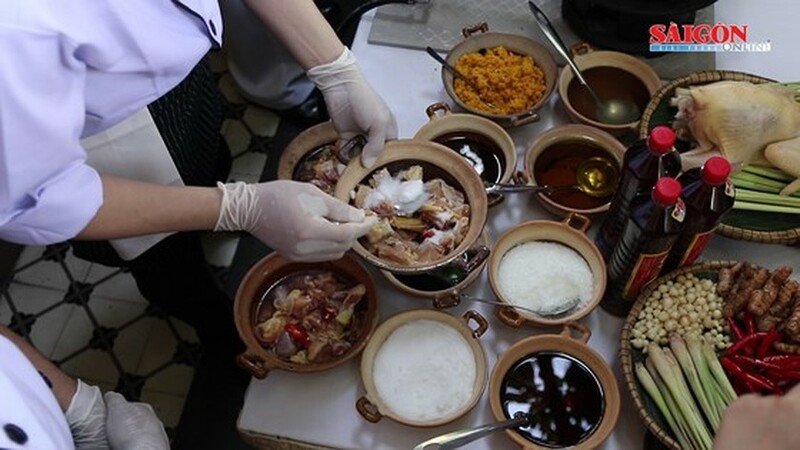 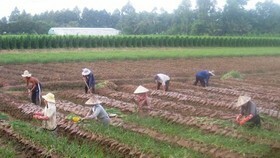 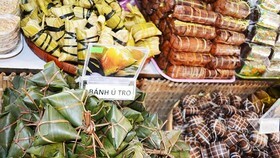 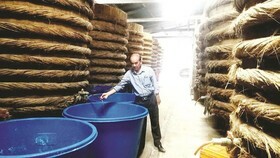 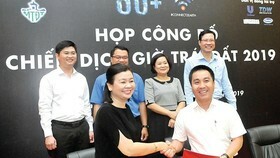 The program aims to introduce and exchange Vietnamese cuisine to the US. 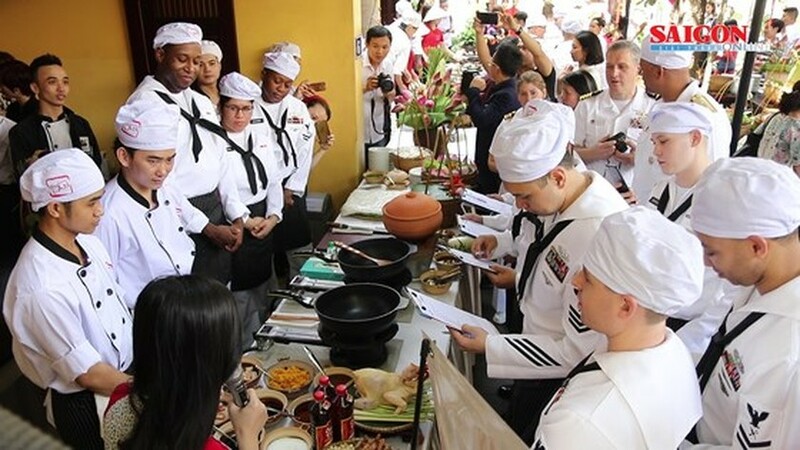 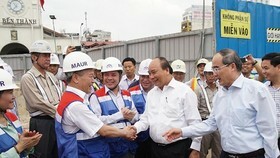 Navy’s chefs and crew members during their visit to the city. 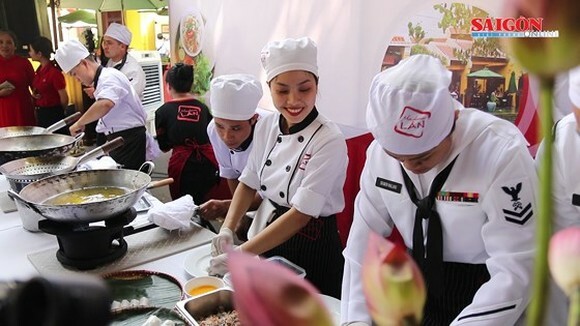 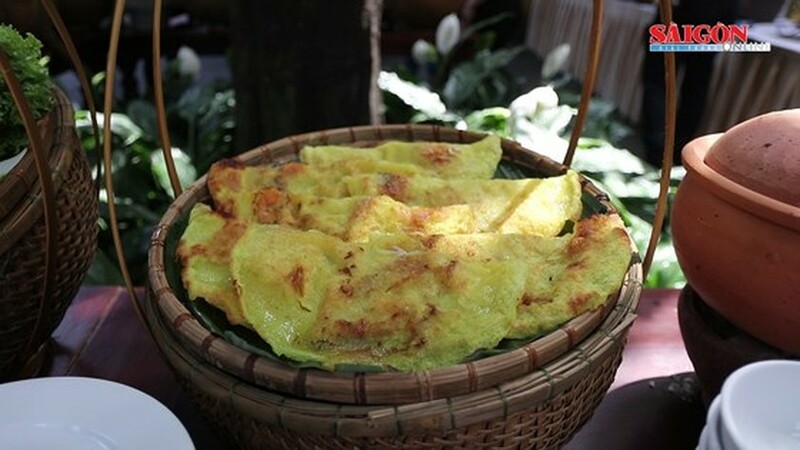 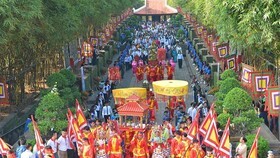 It is also to promote and introduce Danang city as an attractive, safe, friendly destination for international friends and the city has many delicate and attractive dishes in the country.